حجم هذه المعاينة: 800 × 533 بكسل. الأبعاد الأخرى: 320 × 213 بكسل | 640 × 427 بكسل | 1٬024 × 683 بكسل | 1٬200 × 800 بكسل. 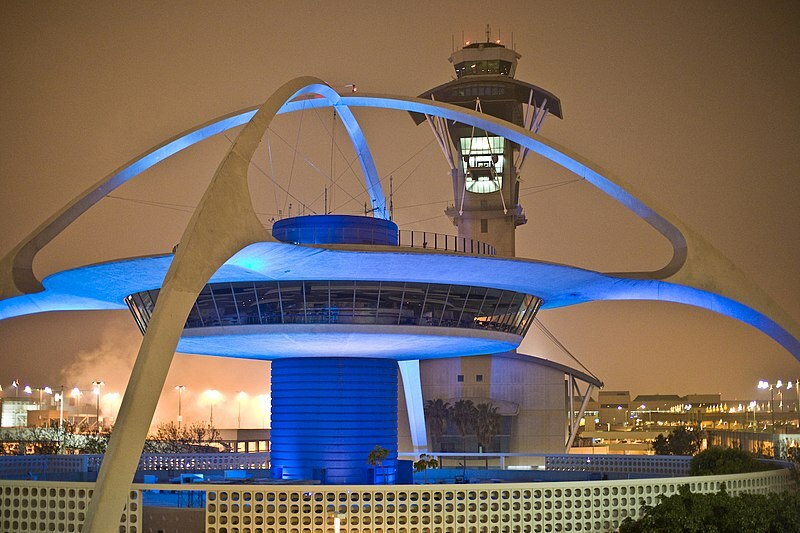 English: The Theme Building and control tower in Los Angeles International Airport, also called LAX, situated in the city of Los Angeles. Latina: Aedificium Argumenti et turris gubernationis in Aeroportu Internationali Angelopolitano, Angelopoli sito. This image, which was originally posted to Flickr, was uploaded to Commons using Flickr upload bot on ١٣ أبريل ٢٠٠٨, ٠٩:١٩ by Indianhilbilly. On that date, it was confirmed to be licensed under the terms of the license indicated.